Well what can you say about this one? All I can say is: creative use for what looks like a Scalextric controller! 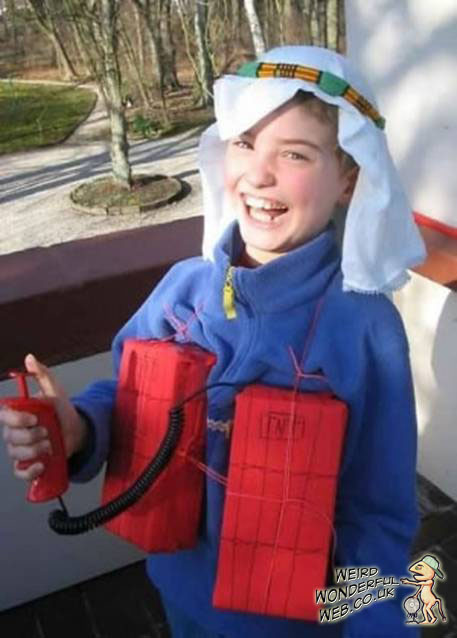 The kid looks too young to be on the receiving end of 72 virgins, but seems REAL happy about the idea.